Dimensions: 15.5"W x 12"H x 4D"
Features: Two front pockets, inside pocket. Fully convertible from tote to backpack. Fully lined with water resistant urethane coated poly. 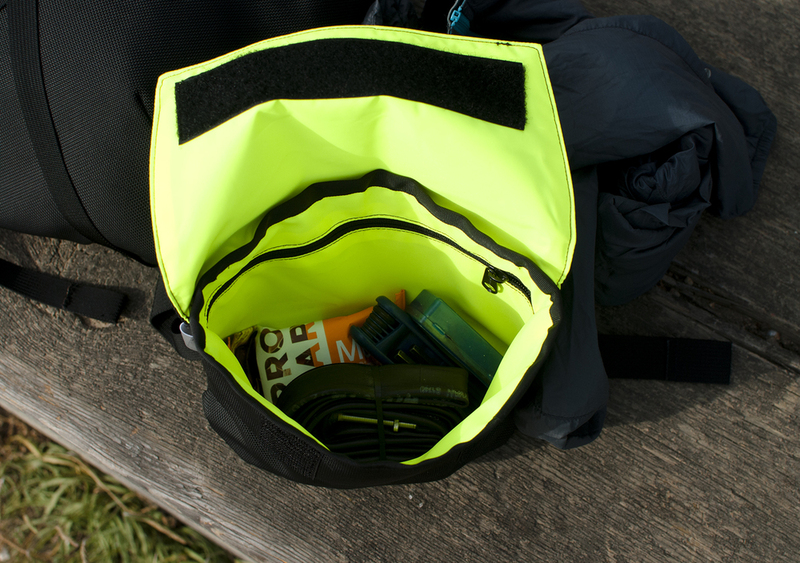 For those days when you need versatility, this convertible pack is the answer. 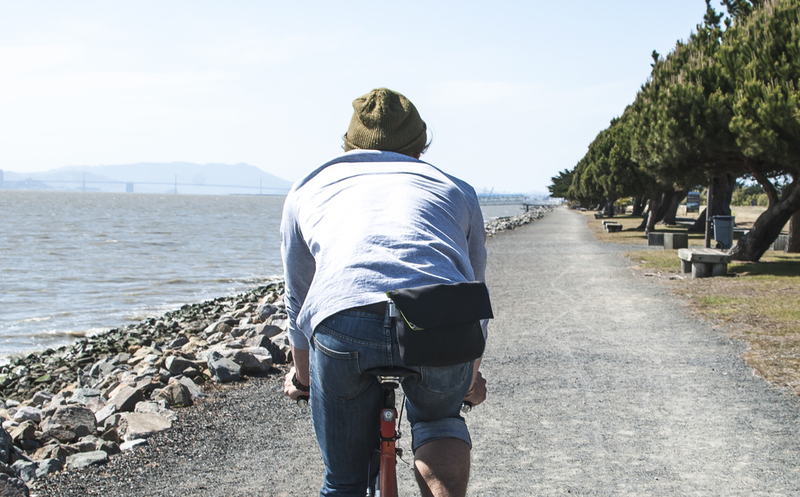 Hop on the bike with a stylish waxed canvas backpack, and quickly turn it into a handbag on your arrival. No extra straps to tuck away or deal with. As part of the limited edition Workshop collection, each piece is unique and hand crafted individually in my Portland studio using premium materials. Features: Two zippered pockets, leather handlebar attachments, detachable clutch and crossbody straps. This 4-in-1 waxed canvas bag turns from a clutch, to a crossbody, to a hip pack or handlebar bag. Wear it more ways than you can say tomato. Part of the limited edition Workshop collection, each piece is unique and hand crafted individually in my Portland studio using premium materials. 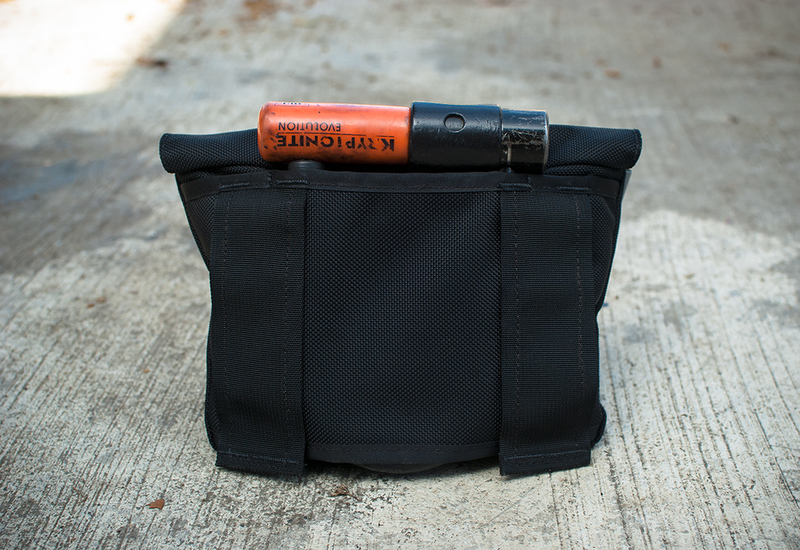 Dimensions: 10"W x 6"H x 2"
Features: 1050D ballistic nylon with DWR coating, fully lined. U-lock mini holster (for use with belt only), velcro attachment, velcro closure, inside zippered pocket, and reflectivity. All materials are made to military spec. Not feeling the belt today? It also works on your handlebars. Made to order in Portland, Oregon. 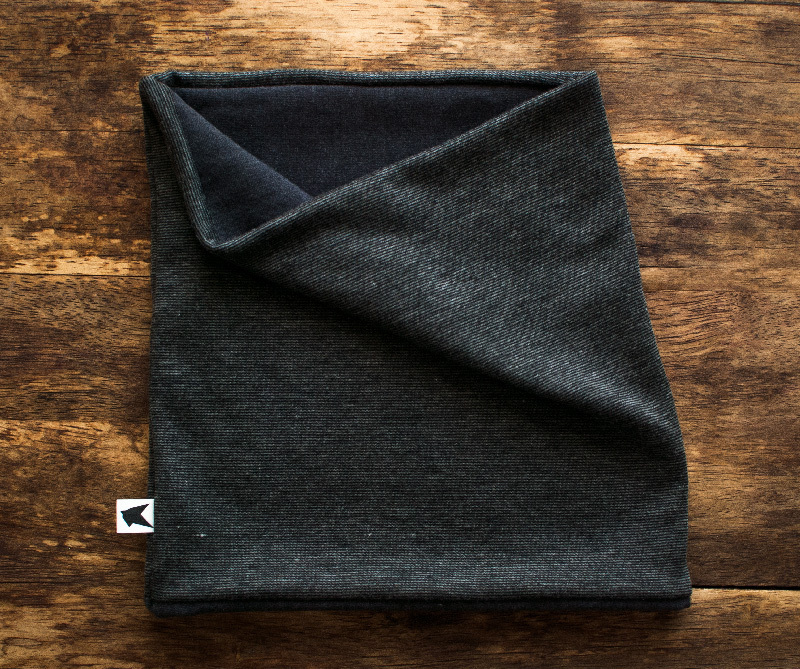 If you've ever felt an unwelcome draft down your neck during the cooler months, this neck warmer is key. Made of a cozy, mid weight heathered terry, this reversible warmer is an update to the fleece neck warmers of yore. It's way less fuss than a scarf!